Lion’s Head is one of the best-kept secrets on the Bruce Peninsula. 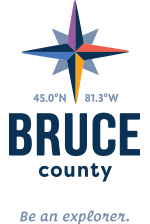 While a steady stream of tourists take Highway 6 north focused on taking the Tobermory ferry or visiting the Bruce Peninsula National Park fewer make the right turn on Bruce County Road 9 that leads to this beautiful small town. But let me remind you there are more than a few great reasons to hang a right and take the road less travelled. Lion’s Head’s sandy beach, stunning limestone cliffs and amazing geological formations are a must-have on your summer agenda. Named for the Lion’s Head rock formation the town’s settlers spotted on the east escarpment, the Bruce Trail runs along the top of these limestone cliffs offering amazing views of Isthmus Bay. These stunning views also mean the trail runs quite close to the cliff’s edge in many spots extra care should be taken at all times. If you are hiking with children, you’ll need to be especially cautious and keep them within arm’s length. While this section of trail is easily accessible, it’s also rugged and rocky. You’ll need sturdy footwear, water and snacks, a Bruce Trail guidebook (never a bad idea), a camera and binoculars if you have them. To start your hike, park your car at the Bruce Trail Parking Lot on McCurdy Drive and begin following the blue blazes of the Moore Street Side Trail. This is the most direct route north to the potholes and scenic escarpment lookouts. The trail climbs up through ancient cedars and along the limestone cliffs before connecting with the white blazes of the Bruce Trail. Be sure to duck off the main trail at 77.5 and 77.8 kilometres to check out the Lion’s Head Pot Hole Side Trail and the Giant’s Cauldron Side Trail respectively. These unusual geological formations are reminders of the sheer power of the glaciers and offer some unique photo opportunities. Continue along the Bruce Trail as it rises along the limestone cliffs and passes several lookouts before reaching it’s highest point: The Lion’s Head lookout. From this incredible viewpoint, you can see the village of Lion’s Head to the west, Isthmus Bay ahead of you, Whipporwill Bay and the spectacular rocks of White Bluff. Photograph the turquoise blue waters of Georgian Bay and watch for birds catching drafts along the escarpment. Once you’ve reached the lookout, turn around and follow the white Bruce Trail blazes back to the main parking lot. With your hike complete, visit Lion’s Head’s sandy beach for a swim or check out the harbour and the lighthouse. See if you can spot the elusive Lion’s Head rock formation. Hit the quaint downtown for a bite to eat at Rachel’s Café or duck into the Lion’s Head Inn. Looking for even more adventure? Drive 20 minutes south to Grieg’s Caves. Take a self-guided tour of 10 limestone caves and experience the landscape where Quest for Fire was filmed! You’ll need the same sturdy footwear and necessities you had for your Bruce Trail hike. This summer, go ahead and make the right turn you never would have. For more information, visit the Lion’s Head community page.